Hope to see you at the last Bikers’ Breakfast of the summer here in Staffordshire. 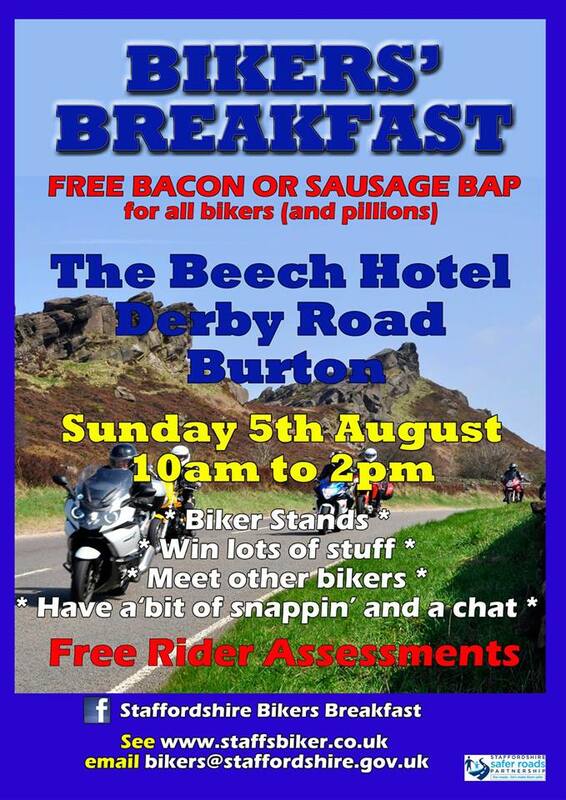 This Sunday 5th August we’re at The Beech Hotel, Derby Road, Burton and the foods always great here, so why not come down and have a free bacon or sausage bap….It’s always a good meet here and even more stands this year. We’re here from 10am to 2pm……come and say ‘hi’. Don’t forget to collect your Staffs biker booklet if you haven’t already. Want to go back to those cold days when you didn’t get hot in your leathers? Want to go back to the place where you pay for your bacon or sauage butty? Want something to do and people to meet this weekend?………well don’t despair!!! 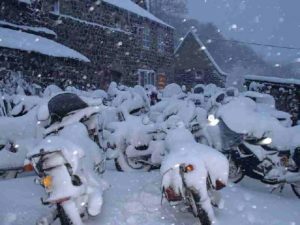 We can’t give you snow, but we can gve you a FREE bacon or sausage bap and a place to meet like-minded bikers this Sunday 5th August at our final Bikers’ Breakfast event of the year at The Beech Inn, Burton from 10am to 2pm……lot’s of interesting stands, competitions (Win a set of Michelin Tyres with our Highway Code Quiz which is drawn next week) and most importantly lots of bikes and bikers. I bet you won’t want everyone to know all about this as our bike park gets pretty packed, but don’t worry we’ll just stack them on the road, so please share to all friends and make this a great day for all.